“I am very happy to have won the title for my country. The director of sand art festival PaveI Minilkov presented the gold medal and the trophy at the ceremony today. 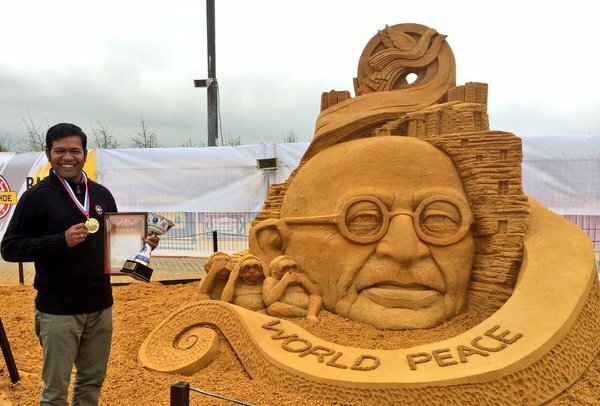 I have tried to show through my sculpture how Gandhiji’s non-violence concept will bring global peace around the world,” Pattnaik said to the reporters. The 39 year old from Odisha had not taken any formal training in this art. Sudarsan faced many hardships during his childhood but that didn’t stop him from doing what he always loved. He started working as a child labor at a tender age of 7. He loved playing with sand since childhood and wanted to be a beach sand artist. He started learning making sculptures on his own at Puri beach in Odisha. He says that he never had a coach and his audience was his teacher. 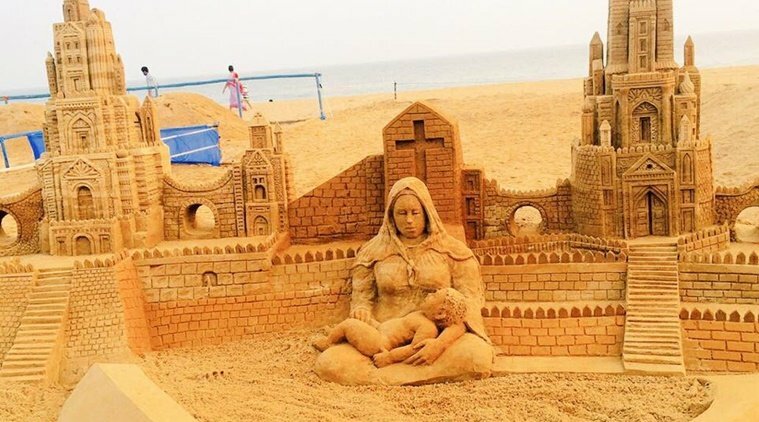 Overcoming hardships and difficulties Pattnaik has become the most famous sand artist of India and has been honored with numerous awards in India. He also runs a sand art school at Puri beach in Odisha. His sculptures include environmental crisis, patriotic leaders, indian festivals, national integrity and world peace.